I am so appreciative for my mom. Her 84th birthday is today. As I look back over the years, I see my relationship has deepened and changed so much with her. As I was young, I was happy she was there for us every morning, packing six lunches ( Dad’s and five children), having our meals on the table, washing and ironing our clothes ( yes, she ironed our clothes! ), reading to us, singing with us, praying with us, and many more things she did out of love for her family. Faith is a strong part of my parents lives. My family went to church every Sunday and when we were old enough, all of us went to our youth programs every week, and to summer camp through our church for one week. Praying at the table before our dinner, as we all sat down as a family each evening was important. I remember when my dad would come home from his job as a carpenter all day, long enough to eat dinner and then go off to an evening job. He did this so my mom wouldn’t need to work, and so she could be home with all 5 kids. My mom has also filled our lives with song. She plays the piano and organ, and has always sung in the choir at our church for as long as I can remember. I have carried my love of song on to my kids and grand kids. I hear my son singing to his daughter today, and it warms my heart! Mom baked cookies and cakes and for each of our birthdays, we got to pick out our favorite meals and what ever we wanted for a dessert, to celebrate our special day. We didn’t have a lot of money, so mom would find ways to make everything seem special. We always felt loved. My parents are in their mid 80’s now and still remain very active. Their energy is amazing, and they give back to people in so many ways. They instilled so many wonderful values in all of their five children, their many grandchildren and great grandchildren. I am so honored to have both of them in my life! I am the only child that moved away from the Toledo, Ohio area, so I am not there for all of the family birthdays that are celebrated. I do call my parents many times a week, and stay in close contact with them. I get to see them about 3 times per year and cherish each second! My mom lost her mom when she was in her early 20’s. She has not been as fortunate as her children have been, to have her mom there for her throughout all of the happy, sad and trying times. My mom loves deeply and has had some close girlfriends, who have been like sisters to her, throughout the years. Some have passed on. 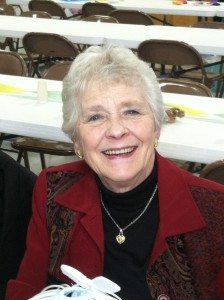 Mom moves forward with the help of her faith, her family and the love of my Dad. So, as time moves on, I hope all of you will cherish the people in your lives that matter to you and will show them regularly that they do! Please leave me any comments below! Thanks for sharing! I love that you cherish the time with your mom and dad. My dad is 91 and I see him every week for our standing lunch date. My mom passed away 12 years ago and I still remember how special she made our birthdays and holidays! Beautiful Connie! I feel like I know your mother even though we’ve never met. Thanks Kellie!~ How did you happen to read my blog? How did it come across your radar? Always curious. Take care! Because of all the love and support you had growing up you are now sharing all your love and support to so many! That is the beauty of being surrounded by a solid supportive family! Keep sharing your authentic, beautiful self!